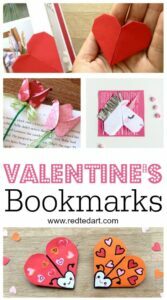 Oh how we love bookmarks here on Red Ted Art!! 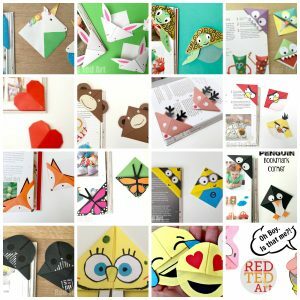 Today we have a gorgeous 31 Days of Love guest post, sharing some recycled heart bookmarks (if you love hearts, we have a great Origami Heart Bookmark for you to peak at too!). 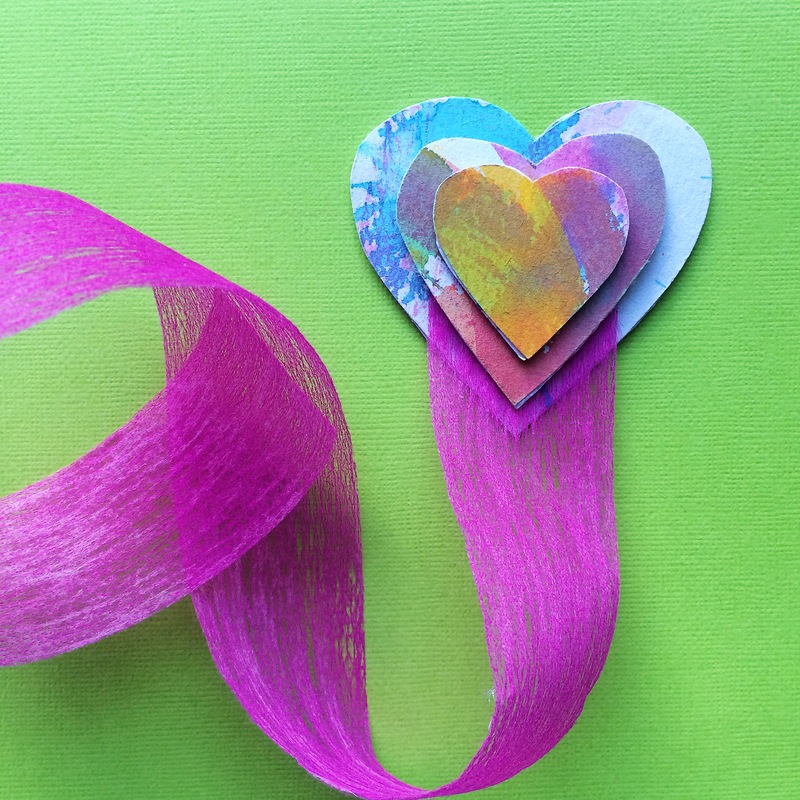 If you fancy more wonderful Valentines Bookmark Designs, hop over! 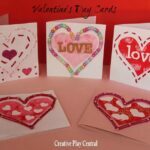 Valentine Cards for Kids ! 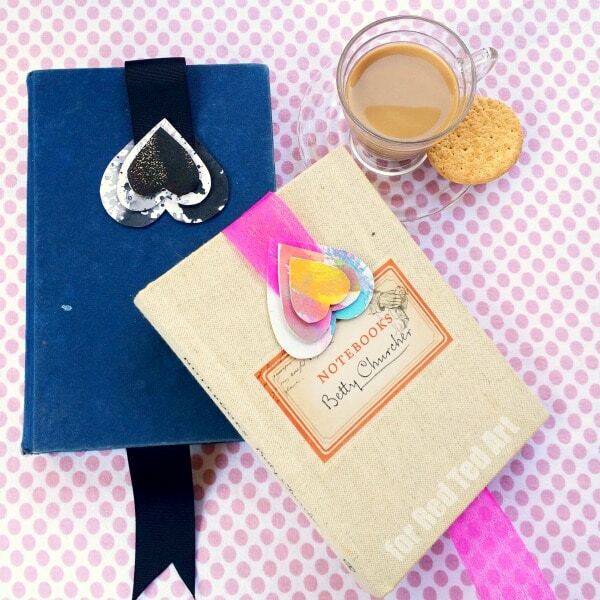 Plenty of fantastic ideas to browse and get inspired by. But now over to Susie! This project uses recycled cardboard and old artworks, which are two of my favourite art making materials. 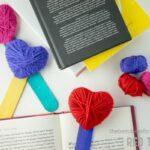 These bookmarks are simple to make would make a lovely gift for friends and family. 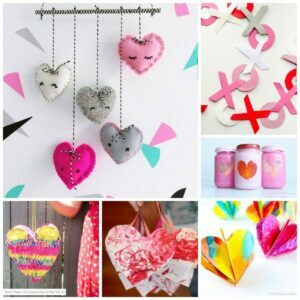 Draw three heart shapes on some cardboard, each one smaller than the last. Trace the heart shapes against your artworks and then cut them out. 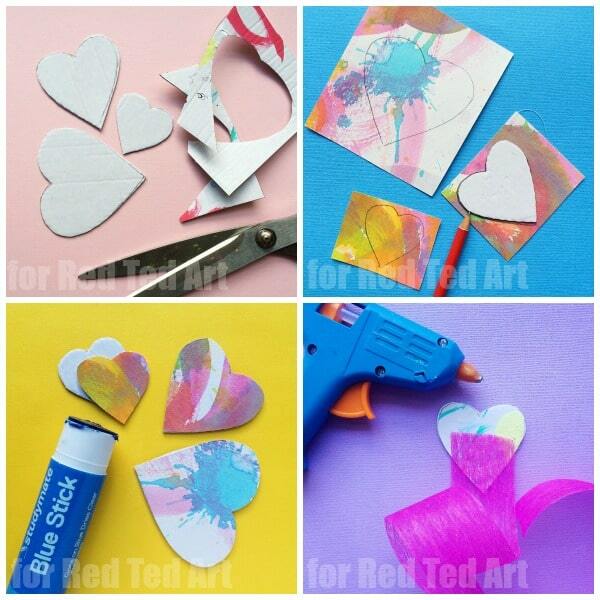 Stick the shapes you have cut from the artworks onto the corresponding cardboard heart. Cut a length of ribbon about 30cm long. Stick this to the back of the middle sized heart. 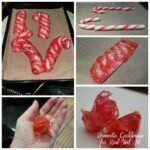 I used hot glue but you could try PVA or sticky tape. Stick the heart ribbon side down on top the largest heart. 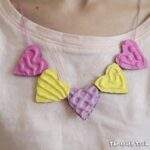 Finish by sticking down the smallest heart on top. For more fun recycled shannanagins lets be friends on IG, FB and Pinterest! 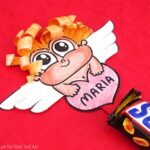 Do take a peak at our gorgeous Valentines Decorating Ideas for kids to make here – these are a collection of previous 31 Days of Love guest posts.. and a great way to discover new blogs and ideas!! 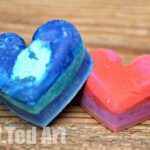 Hope you like them as much as we do! 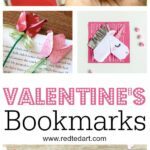 We are great fan of Corner Bookmarks Designs here on Red Ted Art and add new ideas weekly to this fabulous and extensive bookmark designs list!!! Do take a peak, I think you will **LOVE** them!